We’ve always taken on the challenges in the energy sector. We were champions of energy storage right from our beginning. Now we’re grappling with the challenge of electricity network costs. In the UK, only about 34% of our electricity bills are paying for electricity generation. We pay almost as much as that towards the cost of our national and regional electricity networks. In much of the global South, while renewable technologies offer electricity generation with tiny running costs, local economies have no way to sustain the cost of large networks. Either the energy will be used close to where it’s generated, or it won’t be used at all. There’s no prospect for the sort of national networked electricity market that we’re used to. We’ve made a trading platform which enables people who generate electricity to sell it locally, at prices negotiated locally and in real time. Everybody gets good prices, because they’re not paying for national or regional networks. Innovate UK’s Energy Catalyst programme with DfID enabled us to test our local real-time trading technology at the edge of the UK network, on the island of Iona. And now the programme is enabling us to deploy our technology to deliver real local energy trading in Rwanda and Nepal. Innovate UK has made a short video about the projects and has kindly let us use it here. The Energy Catalyst support has enabled us to grow our R&D capability and develop this cutting-edge technology. It’s brought us trusted partners in Scene Connect, Connected Energy, Gham Power and Dassy Enterprise, with whom we’re going to build the Rwandan and Nepalese systems. With this support and these partners, there’s so much that we can do to bring forward new ideas and make sure that everyone has access to the new renewable sources of power. You can find us talking about this at All Energy in May. We’ll be very happy to tell you more. 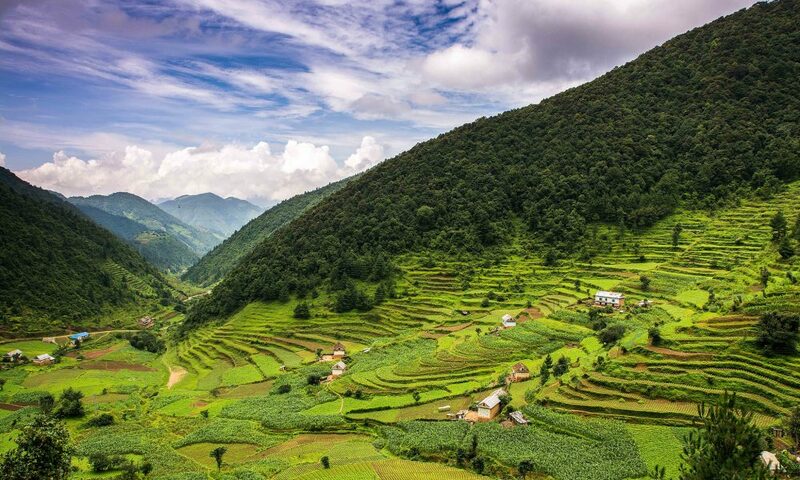 Photograph of paddy fields in Nepal by kind permission of Sharada Prasad CS.